We are immensely recognized for delivering the orders within the stipulated time frame and at desired Sialkot(Pakistan). Keeping the quality standards high, we make certain that prior to production, the inputs (raw material) are examined by the professionals to make the final product free from defects. 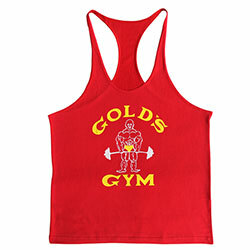 WB-709 Gym Vest has a distinct design with a highly breathable fabric and a high durability.